Peralta Community College District General Counsel, Thuy Thi Nguyen, was named president of the Board of Directors of the Marcus Foster Education Fund in Oakland. Dr. Bob Blackburn, a fellow board member, nominated Nguyen during the education improvement organization’s February board meeting. Her approval was unanimous by those present at the meeting. Nguyen’s term begins on March 28, 2014 and ends June 30, 2015. 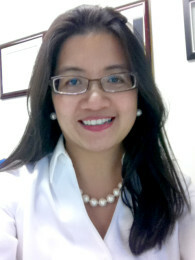 Nguyen has served as General Counsel for the Peralta Colleges since 2003. At different points during her tenure at Peralta, she served in additional roles as Acting Vice Chancellor for Human Resources and District-wide Strategic Planning Manager. When Nguyen graduated from Castlemont High School in Oakland, the Mayor of Oakland named June 23, 1993, “Thuy Thi Nguyen Day” for her community service. Nguyen received the Marcus Foster Scholar Award and attended Yale where she earned a B.A. in Philosophy. She received her Juris Doctor degree in 2000 from UCLA School of Law. The Marcus Foster Education Fund, a 40-year-old non-profit organization that helps Oakland Public Schools improve student academic achievement, is named after the late Oakland public Schools superintendent who was assassinated in 1973. Blackburn, then assistant superintendent, was also injured in the shooting. Nguyen has served on the board of the Marcus Foster Education Fund for over eleven years.